Below are letters written by current members of the Zeta Alpha chapter. 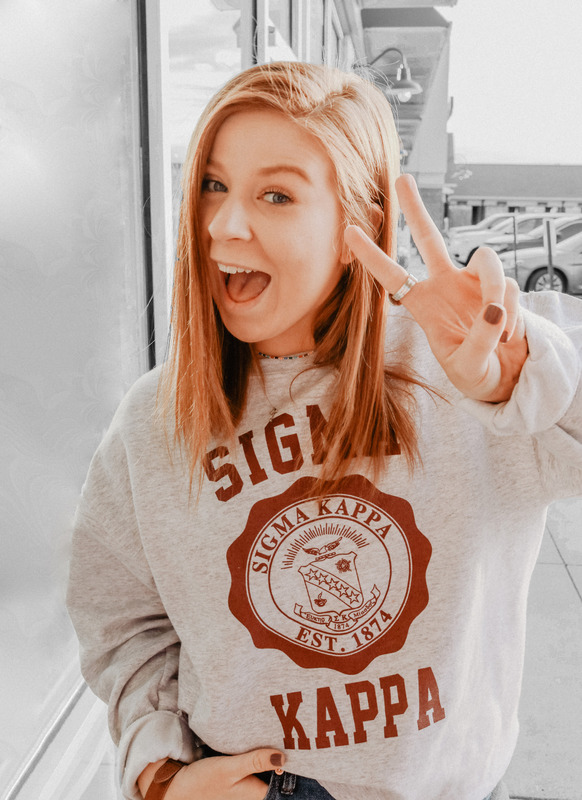 All letters are anonymous and help explain how Sigma Kappa has impacted the girls' lives for the better, as well as how the chapter has helped prepare them for the future. Sometimes the best things in life are things you never saw yourself doing. On pref night, as I stood among the amazing women of Sigma Kappa, I knew I wanted to be one of them. I loved what they stood for, how confident they were, and that it was perfectly okay to randomly break out into dance. Since becoming a Sigma Kappa, my life has done a 180. Without my sisters, I wouldn't have had the courage to leave my job with an awful manager, nor would I of been able to stand up to my parents when I told them I wanted to be an education major over an accounting major. Being in Sigma Kappa is more than the letters, the pearls, and the cute photos. It's having sisters to back you up, to help build your confidence, to be your cheerleader, and even a shoulder to cry on when weak. Sigma Kappa is home. Sigma Kappa has changed my life in more ways than one. Sigma Kappa gave me my Big & Little, who are my best friends. Sigma Kappa gave me public speaking skills. Sigma Kappa strengthened my social skills. Sigma Kappa gave me 50 something sisters that encourage me to be the best version of myself. Sigma Kappa gave me the chance to earn a very generous scholarship. Sigma Kappa is something I have in common with my blood sister. Sigma Kappa gave me a mystic bond that I have with all my sisters across the country. Sigma Kappa allowed me to hold two Executive Council positions to help strengthen my resume. Sigma Kappa is the best decision I have ever made in my life. I wouldn’t be the woman I am today without this great organization.